This article, written by Employment Law Partner Paul Klockenbrink, was written for Gentry Locke’s Virginia OSHA Law News blog at www.VaOSHALawNews.com. If you’re in the construction industry, you’ve already heard many ways in which your business needs protection through its agreements, policies, contracts, and implementing the right OSHA policies. Like any business, you want to stay in business. In addition to what you’ve already read on this blog, labor and employment issues always loom on the horizon threatening to drain your resources from all angles. Fortunately, my colleagues and I will be spending a whole day on these topics at our upcoming 2014 Labor & Employment Law Symposium, in Lynchburg on March 12th and in Roanoke on March 18th. Keep in mind, one of the first things requested in a lawsuit is “what training the Company or its management has received” on the various federal laws at issue. The failure to have a good answer (or any answer) exponentially increases your Company’s financial exposure. Therefore, we strongly recommend that someone from your Company attend this event. Below are the “hot” topics we will be addressing at our upcoming symposium, most of which are painfully relevant to the construction industry. Many people believe OSHA is only concerned about workplace safety issues, and are unaware that this agency has been tasked with the responsibility to enforce 22 federal regulatory schemes in a wide range of industries. Understanding the process involved is critical as the Administration has now set up a whole website (www.whistleblowers.gov) to solicit and encourage claims. In addition to OSHA, there is a rising tide of claims against employers who have any interaction with the government under the False Claims Act, and every employer and HR professional needs to understand what “qui tam” means, and the consequences of qui tam claims. Wage and hour claims under the Fair Labor Standards Act have again hit a record high. These claims are the proverbial low-hanging fruit for lawyers who will represent your employees. In the never-ending stream of wage and hour litigation, some of the less-expected sand traps include the misclassification of employees, off-the-clock work (including working through lunch breaks, the use of smart phones and laptops) and the miscalculation of overtime. Employers have to aggressively attack these claims early in the process. These three laws interact and can create a triangular nightmare. It’s inevitable that employees will get sick, injured, give birth, or have to provide care for an ailing loved one. The problems often arise when the employee appears to be milking the system with never-ending leaves of absence. An understanding of these laws is required so you can know when and how, if necessary, to terminate these employees. FMLA and ADA obligations are regularly part of the process when an employee files a workers’ compensation claim. Navigating this process successfully can keep your company on solid ground. In a year that brought us Edward Snowden and the NSA hacking scandals, attention is increasingly focused on the proper limits of privacy and supervision of technology. Employers have rights and responsibilities in policing and managing social media, employee tracking, and there are myriad implications for “Bring Your Own Device” (BYOD) policies. Electronic retention of documents and electronic media can also bite you in the rear. If you’re not aware of the steps that your business will need to take to preserve and process electronic evidence for litigation, you’re already at a disadvantage. Anger is increasingly being acted out in violent confrontations that impact people on the job, in schools, and other public places. Are there factors that, when present, might indicate the likelihood of a violent workplace incident? In some cases, the right policies or the right person in the right place has worked to defuse or de-escalate such situations to a safe, nonviolent resolution. A police department representative from Lynchburg (March 12th) and the City of Roanoke (March 18th) will provide expert advice at our upcoming events. Over twenty years have passed since the 1991 testimony by Anita Hill before the Senate Judiciary Committee, and yet in 2014 sexual harassment and sexual discrimination issues continue to perplex the Courts and create difficulties for employers. Sexual harassment and sexual discrimination claims now include gender orientation, transgender issues, gender stereotyping and gender identity, as well as caregiver discrimination. There are unique investigatory and retaliation issues that arise once complaints are made. If you’re not proactively training your supervisors and reacting properly to complaints made by employees, you could be headed for serious legal trouble. The National Labor Relations Board (NLRB) now has a full complement of 5 confirmed members for the first time in a decade. They are poised to issue new opinions and new rules that should be of concern to all businesses, whether union or non-union. For example, the NLRB will likely enact new pro-union election rules. In addition, company handbooks and email and social media policies will continue to be under siege. There are ways for companies to remain union-free, and strategies you can implement to avoid liability under the National Labor Relations Act. The world of employee benefits is in flux with a lot of critical developments in play. With the confusion over the Affordable Care Act and the Supreme Court overturning the Defense of Marriage Act, there are a lot of questions about how benefit plans work and what employers need to do to be in compliance in 2014. This is where experienced Employee Retirement Income Security Act (ERISA) attorneys can identify potential pitfalls on the benefits horizons, and help your business steer clear of them. In the employment law arena, an ounce of prevention is truly worth a pound of cure. The courts and federal agencies are no longer recommending that training be done, rather, they are mandating that training be done. If your organization does not do at least the bare minimum of training, it will open the door to not only embarrassing testimony at trial, but also the very real possibility of an award of punitive damages against your organization. Our 2014 Labor & Employment Law Symposium will identify a number of very key issues for the construction industry. We will also highlight where deficiencies may exist in your organization, so they can be addressed to prevent any future claims — or at the very least, minimize the risks. Paul Klockenbrink is a partner in Gentry Locke’s Labor & Employment law group. 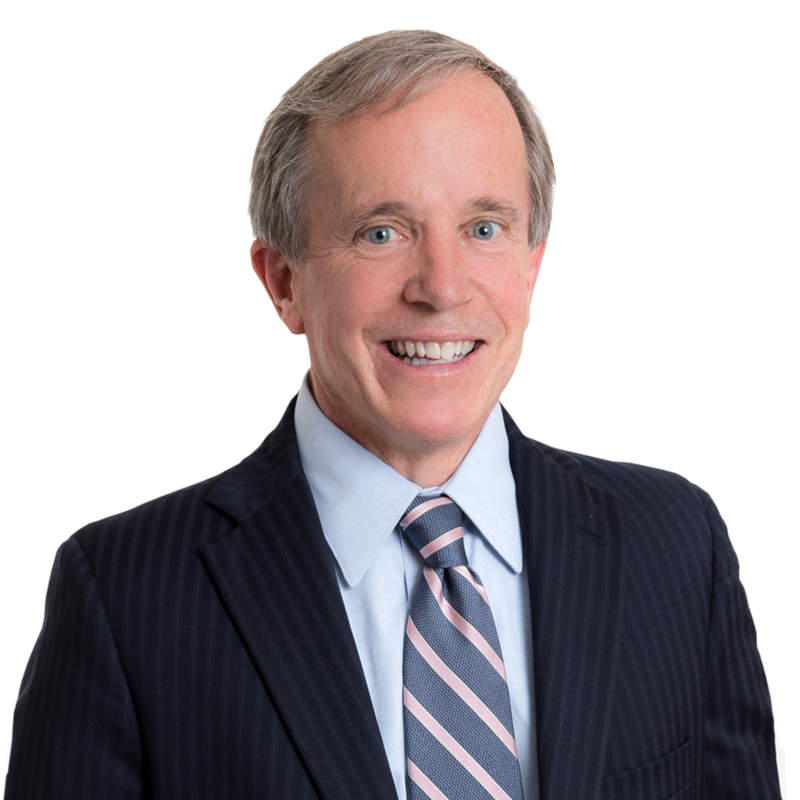 Paul advises and represents employers throughout Virginia regarding employment law issues, as well as the litigation of non-compete agreements, insurance defense matters, and business-related claims. Paul is a frequent speaker at national and regional employment law seminars and also leads the firm’s Restaurant & Hospitality practice group. Tip Pooling – Are the Rules Changing? Fluctuate Away: When can an Employer Pay Half-time for Overtime? These articles are provided for general informational purposes only and are marketing publications of Gentry Locke. They do not constitute legal advice or a legal opinion on any specific facts or circumstances. You are urged to consult your own lawyer concerning your situation and specific legal questions you may have.